A small business runs well when it runs efficiently and a content calendar is a key tool to aligning your sales, marketing, and PR. Sure, it takes a little time on the front end, but you’ll find it will streamline your marketing efforts in the end. 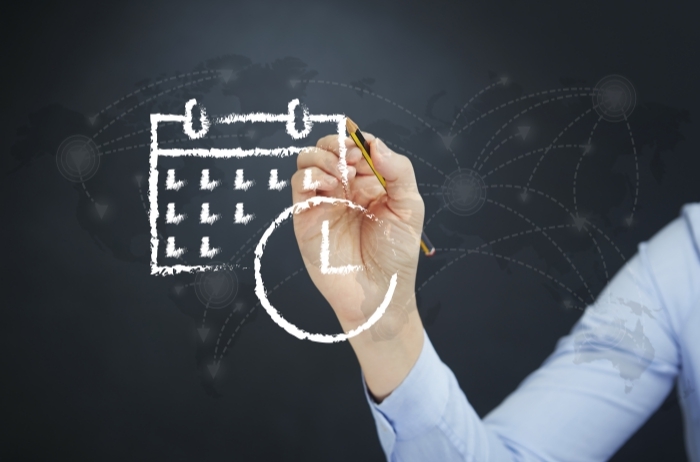 So let’s go through how to create a content calendar for your small business. Don’t overthink this step. A content strategy simply identifies how, when, why and for whom you’re creating content and how success is measured. Putting this down on “paper” and getting buy-in from relevant stakeholders is critical to a successful content marketing program and a usable content calendar. A Step Further: To understand why you’re creating content, do a customer journey map. This will help you better understand what information your target audience wants, when they want it, and how they get it. Content marketing is not about creating new content, it’s about delivering the right content to the right person at the right time. Often, you have the right content or message that you can simply repurpose. So taking stock of all your existing blogs, pitch decks, whitepapers, infographics, etc. may seem like a big waste of time, but really, you’re saving time by not duplicating what you already have. A Step Further: Look through your social media metrics, shared content, etc. to identify which topics and messages resonate with your audiences on different channels. This will help inform what you need more of and what you can eliminate. Now that you know what content you have, you can start producing the content you need to fill out a particular story or subject. Don’t forget to look at an actual calendar and identify serendipitous events like May the 4th or a super blood moon. Doing so will help to prevent missed opportunities to join a larger conversation or last-minute scrambles. A Step Further: Lay out your metadata with great care as you’re producing the content to ensure smooth publishing and maximum organic visits. The final step is to schedule content in a way that tells your story completely across channels. Like all marketing, it’s critical you track which messages, timing, and content types are resonating where, so you can continuously improve your marketing. A Step Further: Use an editorial calendar as your single source of truth for which content is being published and promoted when and where. One of these editorial calendar templates are sure to help simplify the process. Having a content calendar, even a loose one, will not only organize which content to create and when, but will simplify the process by focusing on only those stories and pieces you really need. And because it’s planned in advance, you can be sure not to leave out important details or nuances that make your story resonate regardless of where or how it’s told.